Two is a magical age for flying…your little kid (ages 2-3) finally gets their own seat on the plane! Of course, you have to pay for the seat, but it frees up space and makes the journey much more comfortable. In my opinion, it’s well worth the cost. Here are my tips for flying with little kids. It’s everything you need to know to ensure your flight goes as smooth as possible. Many little kids will be excited about getting their own seat on the plane, but some may be apprehensive. Talk about what to expect beforehand so it isn’t a surprise. A discussion about the seatbelt sign is the most important thing. Your little kid should understand that she needs to be seated with her seatbelt on when the seatbelt sign is illuminated. We used Dora to help us with this…”seat belts on so we can be safe”. Setting the expectation before getting on the plane will help make the initial buckle-up less of a fight. If you’re having a hard time getting your little kid to listen, you can always ask the flight attendant to weigh in. Most kids listen to anybody else better than they listen to their own parents! Beyond just letting them bring their own carry-on, let them help pack their carry-on. Pick out a few special toys and fun activities to play while on the plane. Your little kid then knows what’s in his bag and can choose what he wants to play with. Carrying his own bag also helps him feel like a “big kid” and can help with cooperation. Plus they’re just SO cute walking down the airplane aisle with their little backpack on! I find it’s helpful to pack a book, either new or a favourite, to read during take-off and landing. This can help distract them while the seat belt sign is on. 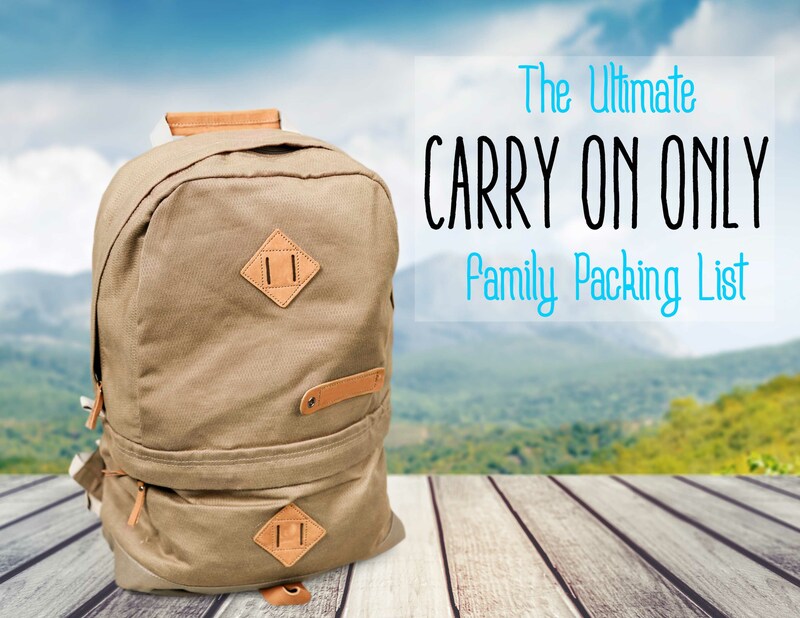 Check out my post “what to pack in a little kid carry-on” for other ideas. Kids are still really restless at this age. Even though they get their own seat, an extra 10-20min on the plane could be all that’s needed to push them over the edge. If you board the plane last you don’t have to occupy your little kid while everyone else is boarding, and for the safety demonstration, and for take-off, etc. It allows a little bit more time for them to run around and burn a bit of energy before being cooped up on the plan. I suggest that you’re at the gate ready to go, but wait until everyone else is through the gate before you take your little kid on board. Plus, most airplanes have a jetway. Once the last person walks through the gate there’s often still a small line-up on the jetway, allowing plenty of time to make your way to the plane at your own pace. My only exception to this rule is if you’re flying carry-on only and require overhead storage space. This tends to fill up on many planes and the extra few minutes occupying your little kid aboard the plane might be worth it if it means you don’t have all your luggage crammed at your feet. Umbrella strollers don’t take up much room and can be a lifesaver when you need to get somewhere quickly at the airport. They also provide somewhere for your little kid to sleep during a layover. Electronics seem to be a necessity for toddlers and little kids. By the time they’re 4 years old they can typically be reasoned with and kept occupied independent of electronics. For 2-3 year olds this isn’t always the case. Sometimes you just need to buy yourself a few more minutes before the seat belt sign comes off, or to ward of a temper tantrum, or simply just for a distraction. A simple game on a hand-held device comes in very handy for these situations. The Toca Boca games are my favourite. They require a bit of eye hand coordination, and you can make them a little bit interactive so it’s something you can do together. Snacks are important at any age, but the younger the child the more important it is to have snacks. Having something to chew on during take-off and landing will help keep your little kid’s ears from getting congested. Snacks are also a great distraction, similar to electronics. The best thing to do is find something that’s a treat for the plane. My kids don’t eat fruit snacks, so I’ll usually buy some for the plane. They’re chewy so they do a good job of helping the ears equalize for take-off and landing, and there are multiple pieces so I can drag it out for longer. Check out my post on What to Pack for Flying with Little Kids for an idea of must-haves for the plane. Do you have any tricks that work to keep your little kid entertained while flying? I’d love to hear them in the comments below.